North River Heights at it’s finest. 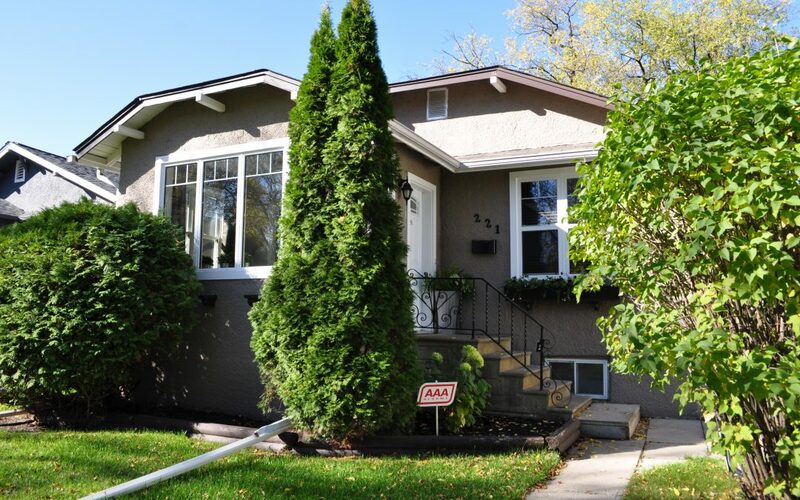 Well cared for bungalow with charming curb appeal with new steps, flower boxes and front door. Leading into an inviting warm 4 season sunroom with new PVC windows, trim and hardwoods throughout. Living room hosts a wood burning brick fireplace, tall ceilings with recessed lighting on dimmers. The dining room is bright with lots of space for the whole family. The kitchen overlooking backyard is updated with a nice appliance package, good counter space and ample storage with a pantry. 2 bdrms on the main floor with a 3rd bdrm in the finished basement, 2 full remodeled baths, one on each floor. Rec room with small kitchenette for a roommate or cozy movie nights…Mini fridge and microwave included. Backyard comes with a newer double car garage, 16 ft deck under a treed canopy. Roof 2012, furnace 2010, electrical 2007, windows and doors 2010, HWT 2014, R50 insulation and more. All this in the Academy Ave neighbourhood!